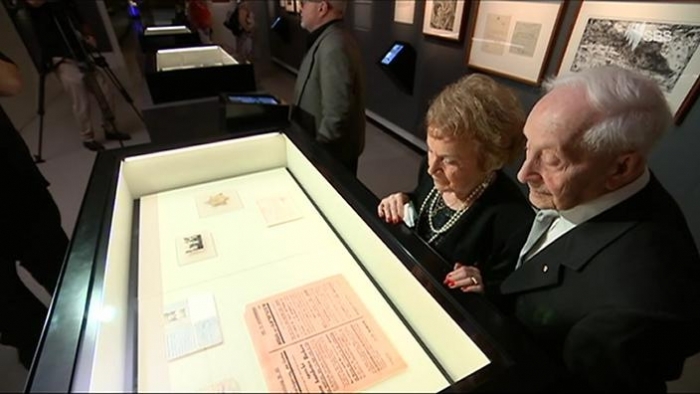 The opening late last month of a new permanent display at the Australian War Memorial, The Holocaust: Witnesses and Survivors, is an event of considerable significance in that institution’s development as a public agency dedicated to historical interpretation. It is also a landmark for the practice of honest history in Australia – an objective that Honest History, the coalition, has promoted over the last three years. Is the Holocaust a subject with which the Memorial, the premier agency charged with recording and interpreting Australia’s military and war history, should be concerned? The Nazis’ attempt to eliminate European Jewry (and those who otherwise offended Nazi ideology) is almost universally regarded as one of the greatest crimes against humanity that the world has ever seen. The oppression of which the Holocaust became the ultimate expression formed part of the case which Robert Menzies made when informing Australians on the evening of Sunday, 3 September 1939, that ‘Australia is also at war’. 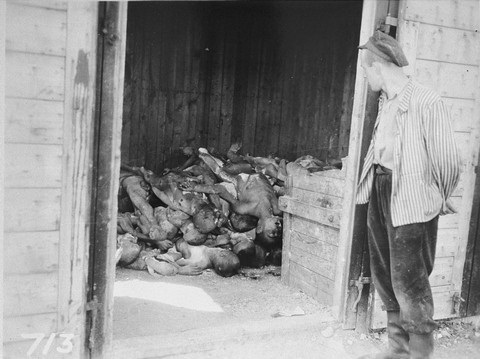 While the Holocaust as such had not begun in 1939, the Nazis’ oppressive and murderous policies towards Jews, socialists, and other minorities were already clear – indeed, the first ‘concentration camps’ (for political prisoners) had been created soon after Hitler’s accession to power in 1933. In that Australians fought Nazi Germany for six years, they fought against the regime that perpetrated the Holocaust. Many of those commemorated on the Memorial’s Roll of Honour died, directly or indirectly, in resisting that oppressive power. Despite the centrality of the Holocaust in justifying the Allied cause in the Second World War – a cause which, as the death camps were overrun and liberated at the war’s end, was plainly vindicated – the Holocaust played little part in the established Australian narrative of the war. This omission grew despite the arrival in Australia after 1945 of up to 35 000 survivors of the Nazis’ attempt to eliminate European Jewry. The Australian War Memorial’s neglect of the Holocaust until the early 1990s remains to be investigated, but it may be explained by both the Memorial’s traditional concentration upon Australian deeds upon the battlefield, and perhaps a residual anti-Semitic bias among those responsible for the Memorial’s direction over the decades following the war. The Memorial told the story of Australians in Greece, Crete, Tobruk, Alamein and the Bomber Offensive, not the wider story of the Second World War in Europe. The Memorial’s Director, Dr Brendan Nelson, in opening the display, said that, two generations ago, the leadership of the Memorial had refused to hang the works of war artist Alan Moore, who witnessed the liberation of Belsen. Moore recalls being told that ‘no-one is interested in the Holocaust’. That myopia began to clear in the early 1990s when the Memorial hosted a temporary exhibition of children’s drawings from the concentration camp at Theresienstadt (Terezín) (in what is now the Czech Republic), from the collection of the Prague Jewish Museum. This, the initiative of the Memorial’s then Deputy Director, Dr Michael McKernan, sought to connect the experience of the victims of the Holocaust, Australian survivors and the Australian contribution to the Allied cause. 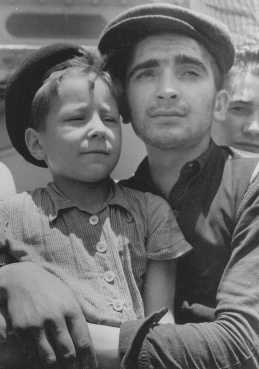 The temporary exhibition, Children of the Holocaust, was hugely popular, not least because it featured testimony from Jewish survivors who acted as ‘living witnesses’ to the atrocity it described. The Memorial attracted some criticism from those who failed to see the connection between the Holocaust, Australia’s part in the war and the presence in the Australia of the 1990s of thousands of survivors who sought and found in Australia succour from the animosities and perils of old Europe. A few years later, the Memorial included in its new permanent Second World War galleries a small section of the area dealing with the war between D-Day and VE Day. This section displayed some of the Holocaust artefacts in the Memorial’s collection, including the art of Alan Moore. Though this was a relatively small part of the whole, one of the principles upon which the new galleries were developed was that Australian experience should be placed in a global context; nearly two decades on, that display remains intact. Now the Memorial has incorporated into the Second World War galleries the new exhibition, The Holocaust: Witnesses and Survivors. It uses the personal items of a number of families who (mostly) survived the Holocaust as well as collections of art (by Alan Moore and the survivor Bernard Slawik) to reveal something of the Nazis’ murderous policies towards the Jews of Europe, and towards those other groups oppressed by the Nazis. The items on display include documents and artefacts donated through the good offices of several families and the Jewish Holocaust Centre, Melbourne, displayed using the Memorial’s familiar approach of presenting ‘personal stories’, with displays of artefacts supplemented by text displayed on panels and on iPads. As a permanent display, this is a significant step in the Memorial’s relationship with the Holocaust survivor community in Australia – which counts descendants now much more numerous than the original tens of thousands of survivors who migrated in the decades after 1945. It also suggests that the parochialism which has prevailed at the Memorial for some years may be changing. This parochialism has been a central tenet of the Honest History critique of the Memorial, most notably expressed in Honest History’s Alternative Guide to the Australian War Memorial, which has been downloaded more than 1700 times from the Honest History website since Anzac Day 2016. This represents a most welcome change of policy, compared with recent decisions made by the Memorial (to, for example, exclude the Armenian Genocide from the First World War galleries, opened in 2014, a decision we may now hope to see reversed). Dr Nelson, in opening the exhibition, admitted he had been ‘embarrassed‘ by the paucity of the Memorial’s previous recognition of the Holocaust. Honest History made a similar point in March 2015: ‘Number of items in Australian War Memorial collections tagged “Gallipoli”: 13352; number of items tagged “Auschwitz”‘: 24’. Dr Nelson also honestly acknowledged that ‘Not everyone agrees with this exhibition’, recording how a ‘regular visitor’ told him that ‘this has nothing to do with Australia and the Australian War Memorial’ and that she would never walk through it. To his credit, Dr Nelson simply reiterated his belief that ‘[i]t has everything to do with us, for we are a part of human kind’. I have also been told that a few members of the Memorial’s generally dedicated and knowledgeable corps of voluntary guides have made clear their refusal to take visitors through the display. To deliberately refuse to acknowledge the Holocaust as an aspect of Australia’s part of the Second World War is reprehensible; perhaps tantamount to Holocaust denial. It can be seen as narrow nationalism and perhaps as bigotry, both offences that need to be firmly challenged. No doubt Dr Nelson is using his formidable charm and authority to win over any obscurantists. As the Honest History coalition has said consistently since we began, there has always been more to Australia’s wars than the exploits of our Australian boys in khaki – more even than ‘love and friendship‘ – and it is good to see this being acknowledged in such a forthright way by Dr Nelson and his team. The Holocaust: Witnesses and Survivors is a display which has been developed on principles that those interested in honest history could fully endorse. I have disagreed publicly with Dr Nelson in the past, as have other leaders of the Honest History coalition. I have argued that the Memorial is unduly focussed on commemoration, to the detriment of its research and interpretative function, and that it has wrongly ignored the Frontier Wars. It also persists with a sanitised war propaganda program directed at children. I would reiterate those criticisms, but would also willingly give credit where it is due, and in this case it is due unreservedly. I certainly agree with this exhibition. Professor Peter Stanley of UNSW Canberra is President of Honest History. As the War Memorial’s senior historian 1986-2007 he was involved in developing the Children of the Holocaust exhibition and was ‘Concept Leader’ for the Second World War gallery that opened in 1999.